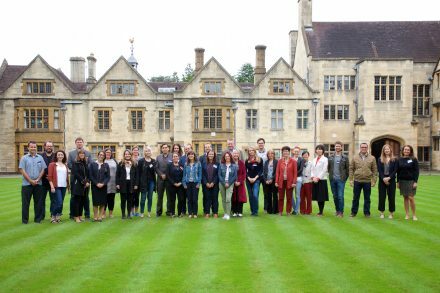 From 14–17 August 2017, PRI welcomed 21 detention monitors from 20 countries – the majority members and staff of National Preventive Mechanisms (NPMs) – for a Summer School on detention monitoring applying the UN Nelson Mandela Rules in Bristol, UK. The Summer School was the second training event organised by PRI and the Human Rights Implementation Centre, University of Bristol, in partnership with the Association for the Prevention of Torture, following the 2015 Summer School on the UN Bangkok Rules. It brought together 17 National Preventive Mechanisms, monitoring bodies mandated under the Optional Protocol to the Convention against Torture, as well as detention monitors from other organisations from around the globe, including Argentina, Estonia, New Zealand and Norway. With the majority of the Nelson Mandela Rules revised in 2015 relating to the prohibition and prevention of torture and other forms of ill-treatment in detention, the four-day programme equipped participants with the necessary technical knowledge on key provisions of the Mandela Rules and how they can apply them in monitoring detention facilities. The modules were facilitated by international and national experts, and a participatory approach using case studies and interactive workshops had participants apply the Rules to their monitoring work. The Chair of the UN Subcommittee for the Prevention of Torture, Sir Malcolm Evans, delivered closing remarks. In a blog post written by a participant after the Summer School remarked that ‘for each module there was lots to learn and some fabulous speakers and facilitators from all sectors and backgrounds to inspire and bring the rules to life’. Another participant commented that they feel they have a ‘much more in-depth understanding and confidence now to challenge some of our current approach’. Take a look at photos of the Summer School here. The Summer School was generously sponsored by the Danish Government. See PRI/APT’s Detention Monitoring Tool – second edition, incorporating the Mandela Rules. Download PRI’s Short Guide to the Nelson Mandela Rules available in multiple languages.